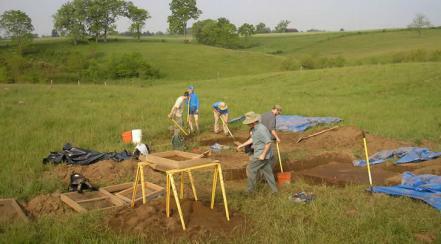 The Kentucky Archaeological Survey undertakes a variety of projects throughout Kentucky. Some are conducted in advance of construction by state agencies, while others are conducted to identify sites on state-owned lands, so that these agencies can be better stewards. KAS also works with local governments and non-profits on a variety of projects, including educational projects that involve grade-school children who participate in ongoing archaeological research.